In December I was sent another pair earphones to review by Brainwavz. Over a month later I have finally found the time to have my say about their quality and comfort (blame strange exam dates). This time I am reviewing Brainwavz' M100 earphones. These earphones come equipped with a microphone and remote attached to the wire leading down to the jack. The microphone is including within the small remote which had 3 buttons. 2 being the volume controls and the other being an "action" button which can answer calls, play/pause music and videos and even tell your phone to start listening to your voice for a search. This remote would be extremely useful at times where you can't use your hands easily, such as when exercising. The remote is so small in size that it rarely gets in the way of tasks you are performing and sometimes you can forget it's even there. Saying that, the remote isn't too small that you struggle to male use of the in-built buttons and functions. 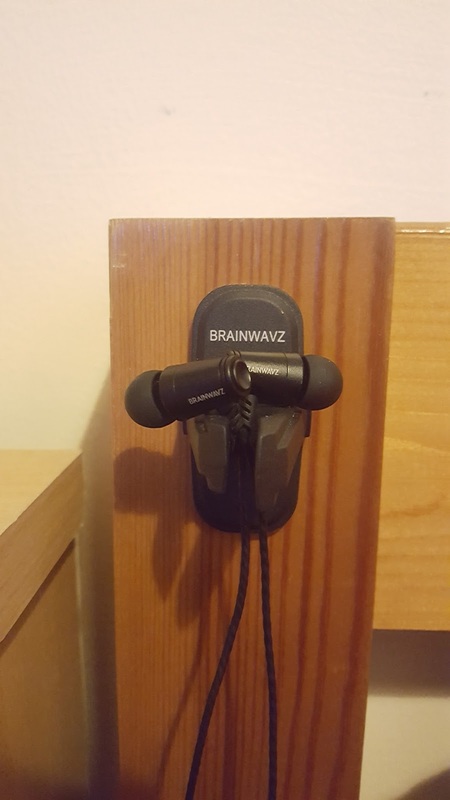 This time I believe Brainwavz got it spot on this time with the sound quality, obviously the most important aspect you look for in a pair of earphones. The sound is sharp, clear, precise and smooth. No hint of audio fuzz and no struggling to make out sounds, it is just so easy to hear everything. 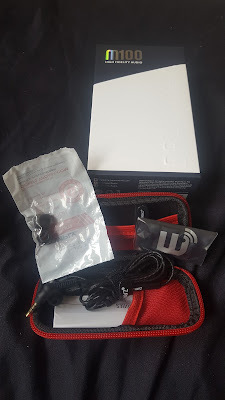 As always along with the earphones you also receive a hard carrying case plus many extra earbuds you can make use of depending on what fits most comfortably in your ear and what you're using the earphones for at that time. The earphones plus the extra accessories will cost you £74 on the Brainwavz site which you will pay the price for as an audiophile for since the sound quality is at it's pinnicle. If you just use earphones for the occasional late night YouTube video or for a walk down the shops then maybe a more mid-range set of earphones would be applicable. That being said, £74 for a great sounding set of technology plus all the extras you receive (including a 2 year warranty) is a decent price if you're going to be using them all the time. Pick up your own set of Brainwavz M100 earphones on their site, or over on Amazon.